MS went on to dizzying heights toward the end of his career with the CHORD series, the later levels arguably setting the stage for the marriage of high skill ceiling and beautiful visuals / architecture that we see from authors like Ribbiks today. As with Matt Tropiano, Sailor was but a young lad at the onset of his career. 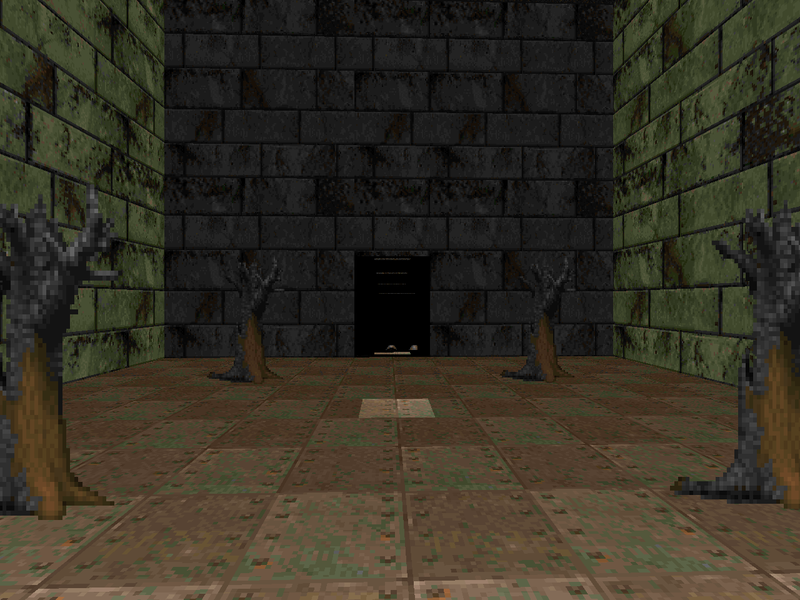 DARKER - his first level and a MAP01 replacement - was released at the tender age of 12 in the year 1995. He would go on to downplay it alongside the rest of his non-CHORD back catalog, much like Mista_T and Dimensions of Time or Skillsaw and Sector 666. And, well, in this particular case it's hard to disagree. 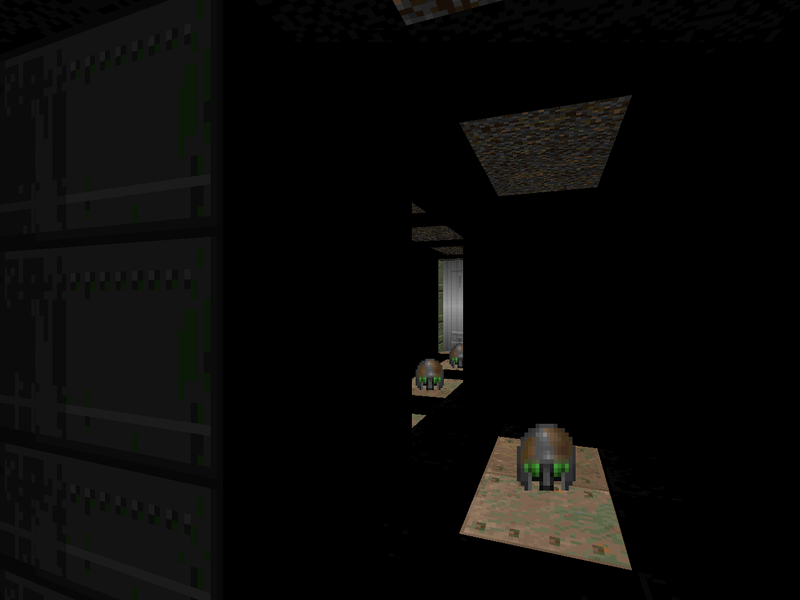 Like most of Malcolm's levels, DARKER is short and dark. In retrospect it doesn't surprise me that he's always had a penchant for using low light levels to either add atmosphere or augment difficulty. 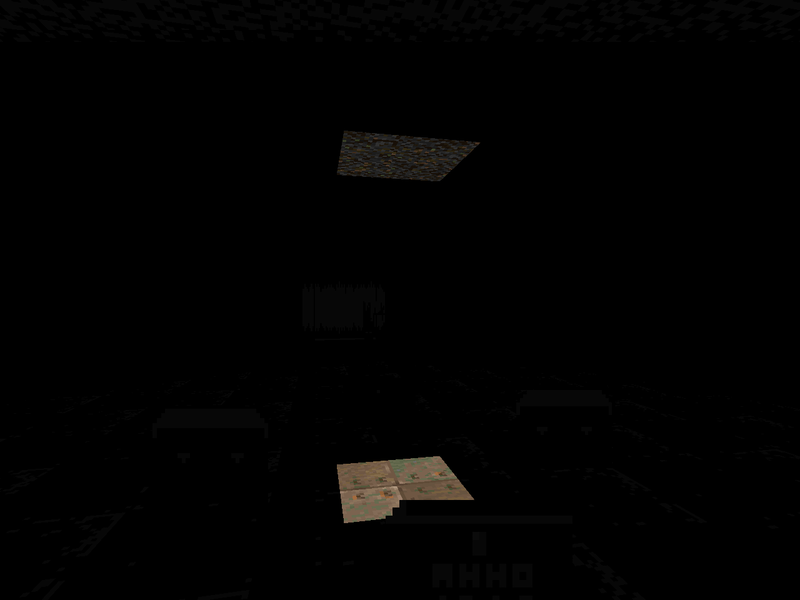 However, the vast majority of the level's playing area is composed of 64-wide corridors in orthogonal, maze-like arrangements. 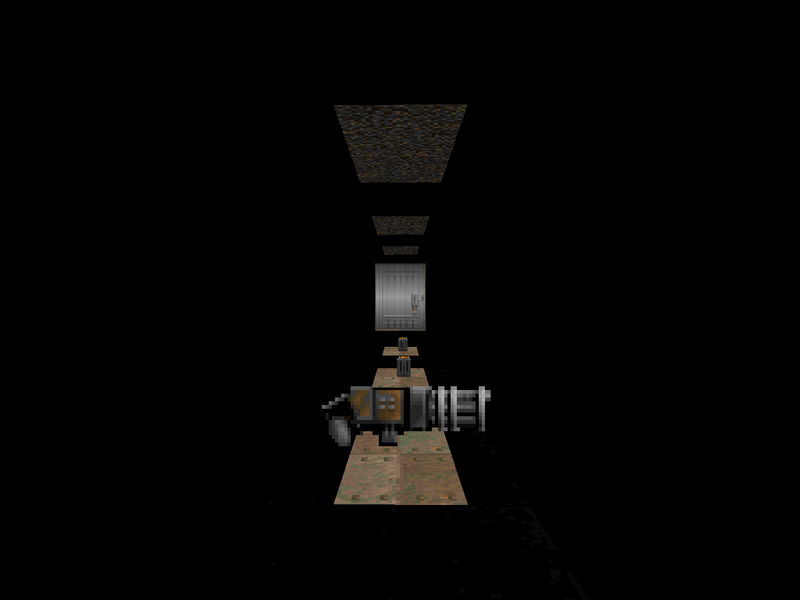 It's not actually labyrinthine but the short sections of the hallways and their multitude of purposeless dead ends gives a similar impression over the relatively brief map experience. Of the larger chambers that exist, one is semi-circular and barely lit, fielding two cacodemons. A similarly-sized box encountered later is the only place with a relatively normal light level and has, again, a pair of red gasbags. The combat's a little different, though, since four dead trees make movement slightly awkward. The tinted tunnels are staffed by none other than a cadre of commandos who are both your primary opposition and your main source of ammo. I think there may be a total of two shotgun guys and no actual shells - or placed shotguns - so nearly all of your work will be done with the chaingun located near the start and is fueled mainly by the zombies that you kill. It's almost got kind of an arcade feel, though in the case of the cacodemons the author had to supply some boxes of bullets to keep things from getting too tight. The big break with the corridor shooter combat would be an arch-vile that will be tough to kill if you do not locate the plasma gun and cell ammo, located in the level's sole secret. DARKER is largely a dull exercise but it offers some surprises. There's the way the commandos appear to crawl out of the walls since the only light in the hallways comes from something resembling a dashed line that proliferates through the network. There's also a shock with the arch-vile, since almost all of the monsters are zombies, as well as a few pitch-black cacodemon encounters. I can't see really appreciating this unless you're a Doom tunnel rat but I can think of worse things that I've played and the darkness / contrast might make for decent practice at playing in poorly-lit environments. Supposing you don't just crank up the gamma or cheat yourself some Lite Amp Goggles, anyway.